I adore books. Makes sense, right? I’m an author. Every now and then, I fall so madly in love with a book that I simply have no choice but to insist that everyone I know read it. I just found such a book. It’s called Choose Yourself: Be Happy, Make Millions, Live the Dream. The author is James Altucher. I’ve already moved it to my all-time favorites list and I’ve only read two chapters. Talk about synchronicity. As ya’ll know, I’ve been writing about BEING the luckiest person on the planet for the past 18 months. Altucher says he has three goals: 1) To be happy, 2) to eradicate unhappiness and 3) to make every day as smooth as possible. Does this sound familiar or what? The universe, which constantly sends signs and blessings, had to work double-time to get my attention on this particular book. Here’s how it went down. Silver Lining Cruises recently invited me to do a workshop. On the call to set it up, the organizers mentioned a post they’d read by Reid Tracy (president of Hay House) talking about my book. I’d already deleted that particular mass email without reading it (sorry, Reid, I get tons of email), but you better believe I went back to my trash folder to retrieve it. In it, he not only mentioned me and E-Squared, but he mentioned Altucher’s book, The Power of No, that Hay House just released. 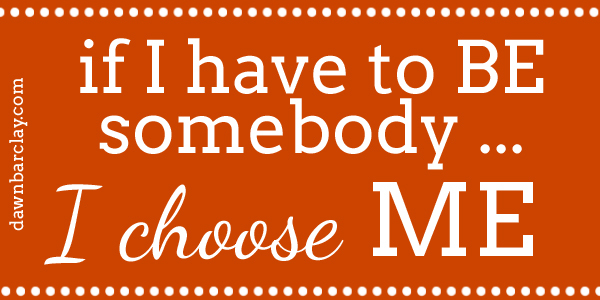 While I haven’t read that one…YET, I did get my hands on Choose Yourself. I started it this morning and, as I said, I’m already completely pumped. Good thing I’m about to go play pickle ball. Altucher says everything I’ve been saying. And he says it in a way that entrepreneurs and non-spiritual types can get. This is a guy who turned the stock market around (funny story, read the book) by giving away Hershey’s kisses on Wall Street. After starting the book (and discovering Altucher is a literary soul mate), I tried to find Reid’s email again. Being on anything (even an email) with James Altucher is like being on a list with Albert Einstein and Abraham Lincoln. So I wanted to save it. Alas, it was permanently deleted. But I did take a screenshot from Amazon (that I tried to post here and couldn’t) of another list of bestselling authors with me right between James Altucher and Tony Robbins. Pretty heady company, I’d say. Enough babbling. Just do me a favor. Read this book. Join my mailing list. Visit my Amazon Author Page.Find my books on Amazon, Smashwords & BarnesandNoble. Blogs: Honoree | Single Moms | Single Dads Follow me on Twitter Like my page on Facebook Connect with me on LinkedIn Read my contributions to the Huffington Post. I just downloaded it. Thanks for the heads up! Can’t wait for your new book! I love your blog and books and was so grateful to hear your web cast yesterday! Exactly what I had needed to hear as I have started a new job and a new case of panic attacks to go along with it. You made such good sense it was just the info I needed to hear to “right my ship” feeling better and better. Looking at the abundant leaves and blades of grass just makes me so happy when I now look at that image! So thank you and I will most definitely check out the book. I saw the Hay House post and really liked what they said about the No book. Thanks so much, Liz. I’m glad to hear my webcast yesterday was useful. And congrats on the new job!!! Pam, I read Choose Yourself twice. (Does that mean I chose myself twice?) Anyway, it is very motivating and I’ve been recommending it to all my friends. His newsletter is a great companion to your newsletter! You guys are in sync! I’m choosing myself every day. So a bazillion times for me. Thanks so much for all you do! You words and actions are truly an inspiration!! Pam. I love you. Your book has helped me make such a positive shift in my life. I am truly grateful. I tried one of your experiments, and it worked like a miracle! I am almost 43 years old and am engaged to a wonderful man who is very open and loving. When we first dated he called me a “princess” and I loved it (especially at my age), after that one time of being called a princess, he never used it again (although he says loving this to me all the time) . SO, I focused on him calling me a princess (just imagining him saying it to me) and I gave it a week. All of a sudden princesses were popping out of the word work. And not in the usual places, like the toy aisle or on a little girls t shirt. I saw a Burnley biker dude wearing a t shirt that simply had the words princess across the chest, a 60 year old nurse at a rest home wearing a disney princess smock and then a fortune cookie that stated ” unlock your inner princess from within”. All of these were great, but the best one was a text this morning from my “husband to be” that said “good morning my mountain climbing princess” (we had just mountain climbed the day before). It took him a year to reuse that term of affection, but I know who manifested it! Thank you for the book. It’s on my list of best books written ever! Can’t be as good as yours, but I bought it anyway. Hugs, Rev. Adriana P.S. Is it September 16th yet? Can’t wait for E-Cubed!!! I’ve read E² and the Choose You book that you recommended, along with a lot of other books on manifestation and law of attraction and all that. I did your exercises, but never had any results. And right now, even though I’m always positive and optimistic, believing that things will work out fine, everything is turning out just the opposite. The washing maschine died, my car just breathed its last, I’m not getting a job (too old… >.> ), and the bank refuses to help out anymore. Thanks, Claudia. Next, I’m reading Just say No. It’s sitting, as a matter of fact, on my nightstand. As for butterflies, I have a chapter in the new book called, “Well, duh!” where I tell about all the butterfly stories. They’re like Mickey Mouse’s broom in the Sorcerer’s Apprentice. They keep multiplying.